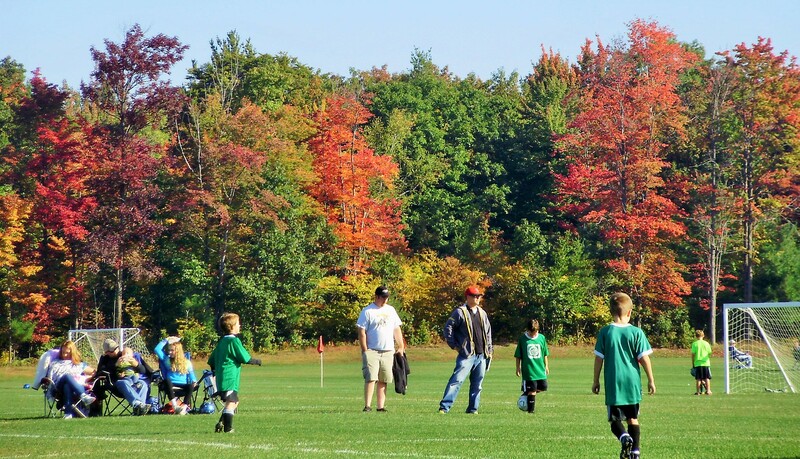 Saturday is soccer day around here! 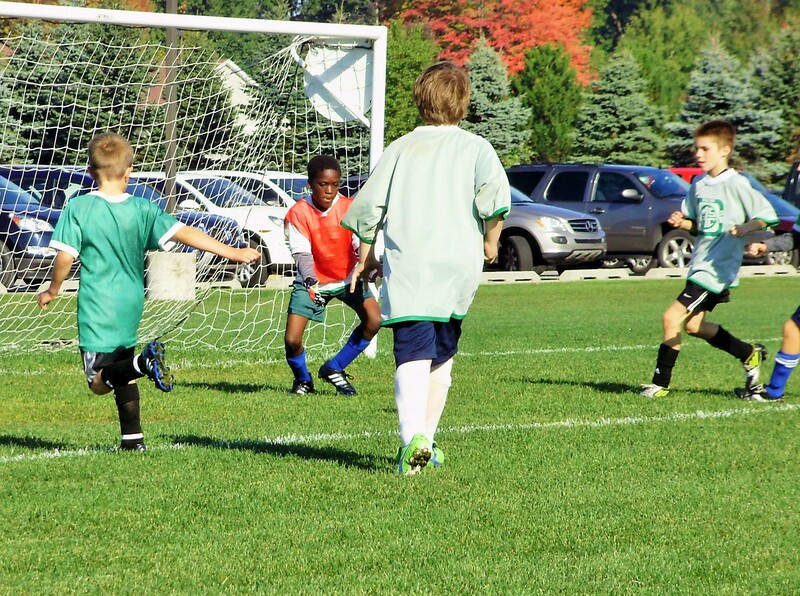 Our grandson, Armon, is a terrific soccer player! Today was the third game this season. His team has won every game so far! For the first half of the game Armon was goalie. His team is wearing light-colored shirts. Sorry, Michael got right smack in the way so we can’t see the ball but Armon did get it. It’s okay, Michael, you were doing good! This picture I took for the trees! Aren’t they beautiful? Autumn is here!!! Jerry on a Saturday morning! Unshaven, shading his eyes with a baseball cap, but enjoying watching Armon and the rest of the team winning the game!!! Armon’s birthday was this week so his party was Wednesday late afternoon just before soccer practice. He asked me to make him a soccer field cake! So…here it is! Nothing too great but he thought it was! That’s all that matters! My grandson, Armon, the soccer player!!! 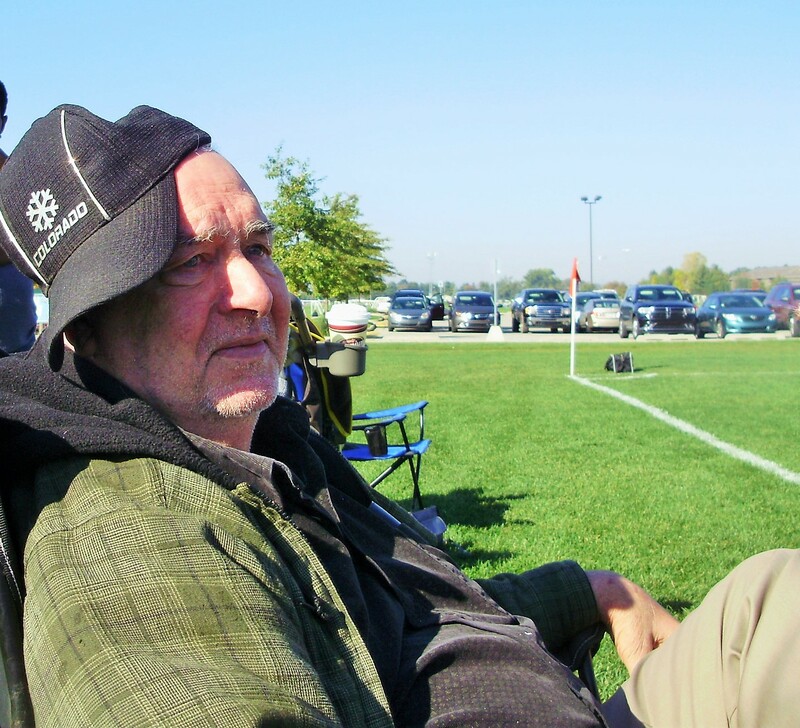 This entry was posted in Armon, Birthday, Cake, Children, Family, Grandchildren, Grandpa, Jerry, Michigan, Soccer and tagged Armon, Birthday, Cake, Family, Grandchildren, Jerrry, Michigan, Soccer. Bookmark the permalink. We have a grandson Patrick in basketball and one in soccer, Curtis’ fifth year, I think it is. So the soccer field shots look very familiar. 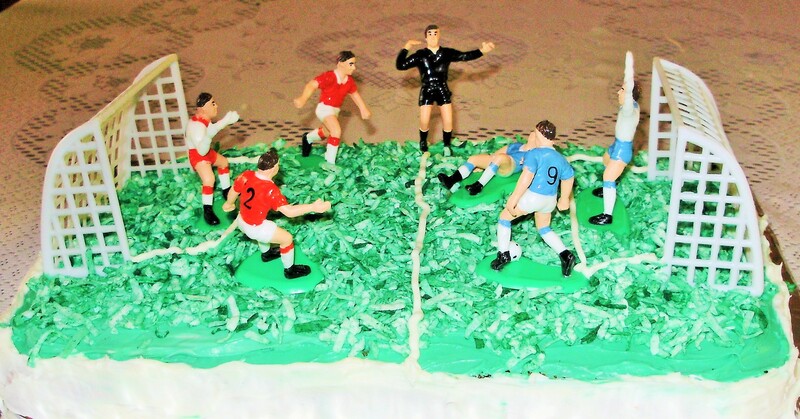 Very creative goal posts on that cake! The soccer games are fun to go to, especially since our team is winning!